Another surprise straight from the Uncovered Final Fantasy XV event, Square Enix has announced a Deluxe and Collector’s Edition for the highly anticipated RPG title. The Ultimate Collector’s edition will only have 30,000 copies produced so you’ll need to snap it up quickly! 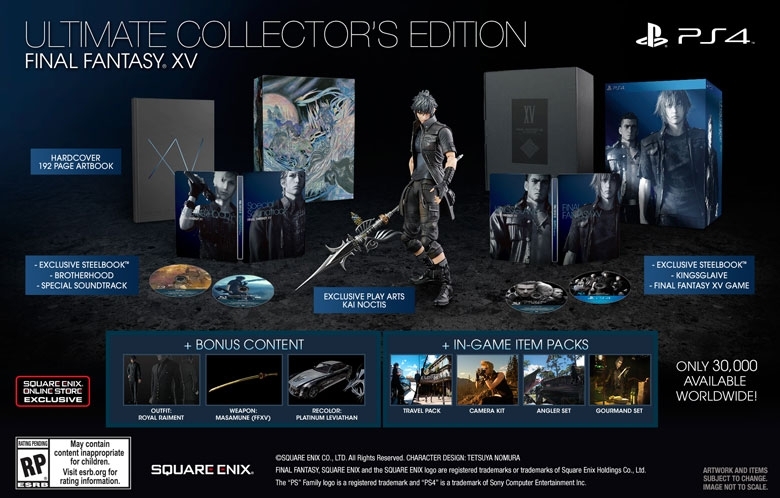 The collector’s edition is exclusive to pre-order on the Square Enix Online Store at 9:00 Pacific Daylight Time, whereas the deluxe edition will be made available to pre-order at all participating retailers. Final Fantasy XV is scheduled to release on September 30, 2016 for the PlayStation 4 and Xbox One. Posted in Final Fantasy XV, Uncovered: Final Fantasy XV. I wish they made a “normal” CE for peeps like me that can’t readily afford a clearly $300-ish CE like this. :/ Damn that burns. 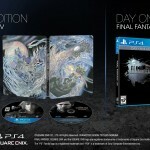 I dont see the Noctis play art edition anymore for PS4…sold out already? omg, I don’t either, is it?!?!?! 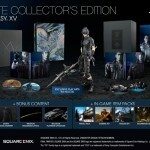 I just ordered the Noctis play-art edition, but I dont see it in my order page nor I did not get the confirmation email. Is it normal? I ordered the $269.99 Collector’s Edition as well, at first it would load my order then I had to go back and reorder kinda. But I did put in all my info and finish my order and it gave me an comfirmation # at the end. I’ve yet to get my email as well though… they better not had messed up! I ordered it, too, almost immediately as soon as it went up 4 minutes before 9 PDT, which is 3 hours behind me. I just got my email not five minutes ago. It took a while for it to come, but at least I can relax easily now. I didn’t miss it. There’s now an email waiting list you can sign up for on the site. I put mine in just in case! It’s a hard price to swallow, but they also don’t require you to pay it now. They take the money out closer to the release date, and let you know before doing so. That gives you a lot of time to pre-order it and then start saving the money up for when they do take it out. That’s essentially what I’m doing. Huh, you’re right, they do offer different steelbooks. Now I don’t know what to do… It seems silly to own multiple copies just to get the steelbook cases. I won’t be able to get the Collector’s Edition as its very expensive and the PS4 version seems already sold out. I wish they would have included the Brotherhood Bluray as well for the Deluxe edition, even if it meant 99.99 instead of 89.99, oh well. Who purchased it already? I got my Divine Hands on the Ultimate Collector edition! Confimration email and errthang! Bless me! Ya’ll see? I criticize this game to no end and I told y’all I’ll buy it first day collector edition. No lies. No, I still don’t like Noctis. I was worried with how congested the SE store, but I prevailed! Got my Ultimate Edition for the ultimate fan! 270? No prob! I think the delux edition is enough for me. The price is affordable and I love the makeup DLC (I’m willing to see Noctis with suit and killing enemies with a masamune). Ikr, I went with the collectors edition…regardless of the cost, ive been waiting years for this so it seems appropriate to go all out on it. Preordered the ultimate edtition but i have yet to recieve a confirmation email or anything in my order history…am i safe? They bumped the price up for a useless doll and two steelbook cases!!! The Collector’s Edition doesn’t even have a full soundtrack. The Brotherhood anime is free, so its cost shouldn’t be included. I’m disappointed by this Collector’s Edition. The Brotherhood included in the CE has a sixth episode that’s exclusive to this set and won’t air on the YouTube channel. I had to wait for like an hour or so to get an email confirmation. Take my Holy words with no grain of salt, but as long as you they verify your banking information and you got a confirmation number, your order is in process and you should get an email. BUT, as it turns out both console versions are not waitlisting phase. The high price is not due to Steelbook cases, they aren’t that expensive, what is costly is the figure and the 192 pages hardcover book. Life happened. Both sold out. Maybe companies should start selling their special editions like Car dealerships do and allow the consumer to build his own edition, the same way we can customize cars to our liking when purchasing one. You get a checklist of all bonuses available and you check the one you want, at the end, you get a price according to your selection. its not a sixth episode, its extra scenes that didnt make the cut. Product description says it’s a sixth episode. Guess we won’t know for sure until it comes out then. 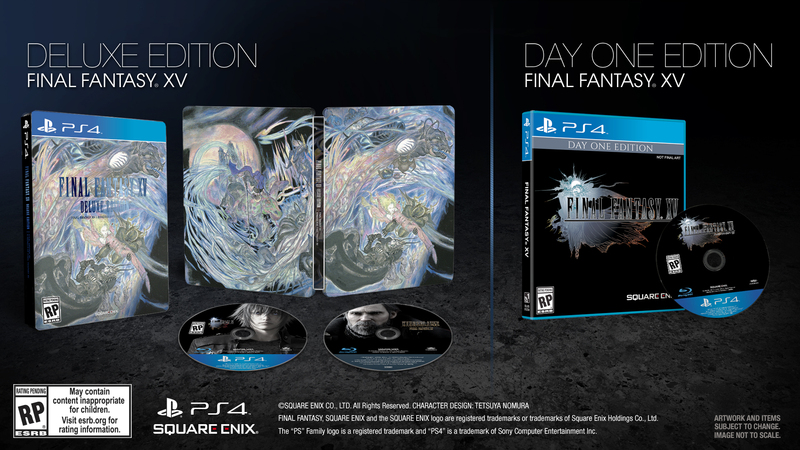 to any Nova Crystallis contributors, will there be a bundled version with console (day 1 edition) up for sale soon? if not i’ll preorder the deluxe now in case it’s sold out. Going broke over video games is dumb. I’ll just get the Day One edition with the Masamune and keep moving. Guys, notice how we have not gotten any info on the ultimate/collector’s edition GUIDE BOOK. I did, too.I already had a pre-order through Amazon for a regular one, but when they showed it, I immediately started refreshing the online store. I was so worried when my login credentials wouldn’t load, but it finally did maybe two minutes before they went on sale. Thankfully, they don’t require the money right now, because that would have been the end of it for me. This way, I can afford to save up for it by the time they take it out. Well in Heaven, it’s free. Is there a place they do ship to you can get them to send it to and then from there ship it to Australia? I’ve commented there why I want more UCE etc. I don’t want more UCE, I want a totally new edition. The Deluxe does not offer enough, and the UCE is way too expansive, I want an edition in the middle of this, around 149.99$. Fair enough. I’ve seen more people asking for a ‘new’ edition which sounds great to me aswell :).. perhaps without the figure, which will already make a huge price difference. How about here in the Philippines?? ?…………same -_- so pissed!!! do they have no heart?? do they know that people are on a college budget like myself??? The ultimate edition will never go down in price. Theres a very limited ammount, so any that exist WILL be bought, and the only way to get one after launch will be on eBay with drastically inflated prices.